KD contains organic acids that acidifies the birds’ drinking water and the contents of the crop. The blend of organic acids, hydrogen ions and surfactants also keep the water drinkers crystal clear and germ free. 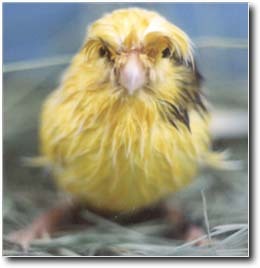 KD protects the birds from germs in their food, water, and environment allowing them to thrive during times of natural stress, during the breeding and molting seasons. KD is a health stimulant for Juveniles. KD has a positive influence on the developing immunity of young birds by protecting them from excessive exposure to germs allowing them to establish a stronger level of natural resistance. Young chicks in the nest are the most at risk from contaminated food because it remains in the crop for a prolonged period of time. KD is especially beneficial in preventing the contamination of the food which is regurgitated by parents to their young. KD accelerates the juvenile molt by promoting good bowel health. KD is immediately neutralized after food leaves the crop and enters the highly acidic stomach, leaving no residual effect of KD on the birds. 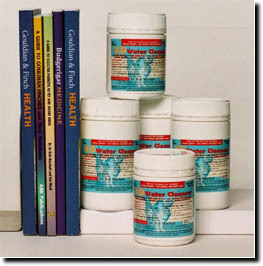 KD enhances natural health by lowering germ count, protecting the immune system and nurtures a strong natural resistance in the flock. 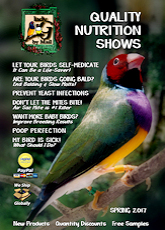 Once the breeding birds and juveniles the best opportunity to repel disease naturally and without the use of potentially harmful medications. KD is usually administered for two consecutive days per week. However, each aviary develops its own individual requirements. 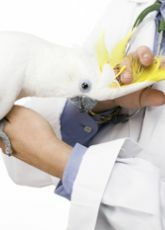 More frequent treatments may be necessary for outdoor aviaries or continuously during treatments of disease associated with contaminated food, water or Megabacteria. KD can be mixed with the bath water as an insect repellent and feather cleanser! Birds love to bathe in KD! KD given at the first sign of illness protects the healthy members of the flock from infection and, at the same time, improves their natural resistance against the disease. Look and listen to the birds the morning after KD is administered for an increase in activity and noise. KD should be used defensively during the early stages of a disease outbreak. Given at the first sign of illness KD protects the healthy members of the flock from infection and improves their natural resistance against the disease. It may be inappropriate to treat the entire flock with antibiotics. However, left unattended, these diseases do eventually spread to other birds, infecting even the most robust members of the flock. The role of KD for these diseases is primarily defensive, protecting the healthy members of the flock from contamination via water, food or environment. The beneficial outcome of KD treatment is to strengthen the flock’s natural resistance against them. This enhanced natural resistance does not occur when antibiotic-type medicines are used in the early stages of the outbreak. Look and listen to the flock the morning after KD is administered. There should be an obvious increased noise/activity in the aviary the morning after KD. If you do not see or hear these increases, do not administer the KD for the 2nd day. If you do see and hear it, continue treatment for another day. KD mixed at disinfectant strength is a potent and safe aviary cleanser. Use as a spray or wipe over the cleaned surfaces each week during the breeding season, and once a month in the aviary to help with French Molt. 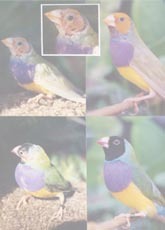 Mix Rates: All Birds from Finches and Canaries to Parrots.